The fortunate dogs of all shapes and sizes arrived with a flurry of wagging tails to feel the welcoming arms of delighted animal rescuers. Soon, all nine dogs will be living as contented pets – a far cry from the hellish future they faced being butchered and served up as food only a few months ago. 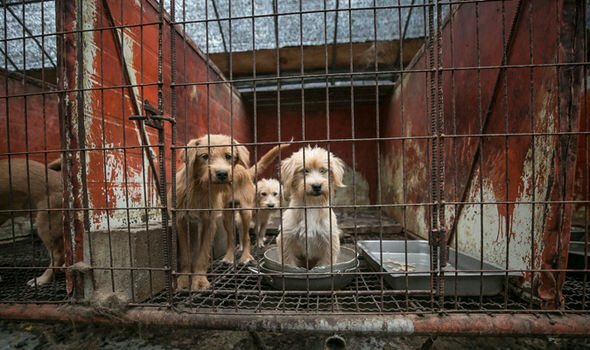 Luckily, the dogs are the beneficiaries of a campaign by leading animal welfare charity Humane Society International UK and growing enlightenment about eating dogs in the Far East. Uplifting images released today show the moment the dogs came through the reception centre at Heathrow Airport after their airlift from South Korea to be met by the welcoming committee from HSI UK. It is the latest stage of an epic journey that will eventually see the animals finding new homes. The rescued dogs are a variety of breeds, some well-known to British pet lovers, others have a Far East bloodline. Sandie the Labrador, Olive and Indie the golden retrievers, spaniel mixes Dermot, Luna and Millie, terrier Tessa, Nara, a Jindo shepherd mix, and Robin, the Maltese cross, were part of a 200 dog haul rescued by HSI after working with the Korean farmer who had decided to shut down his meat operation. The other rescued dogs have gone to a rescue centre in Canada. With eating dog meat becoming increasingly unpopular in Korea, many farmers who raise the animals in miserable conditions are looking for new trades such as growing mushrooms. HSI has now shutdown 13 Korean dog meat farms and rescued 1,600 animals, yet an estimated 2.5 million are still being reared on thousands of farms across the country. 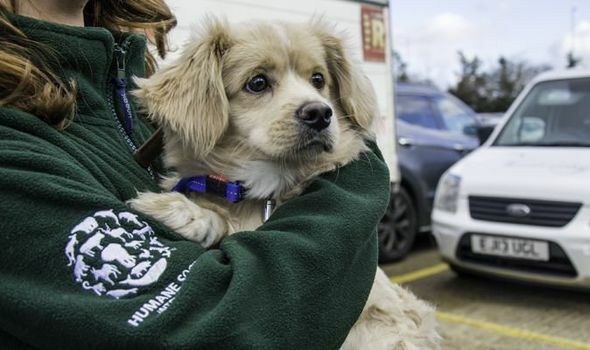 Wendy Higgins from the HSI UK was at Heathrow Airport to meet the dogs as they arrived to scenes of joy, a far cry from the last time she had seen them in grim conditions at the Korean farm two months ago. She explained today: “When we found these poor dogs on our latest dog farm closure, they were in a terrible state, confined in filthy, barren cages, with nothing but wire mesh to stand on. “Right next to their cages we found the electrocution equipment used to kill the dogs in front of each other, and a pile of collars on the floor. Yet, despite being so badly treated, they were desperate for affection. I believe this story is on the This Morning programme this morning. It was on this morning . 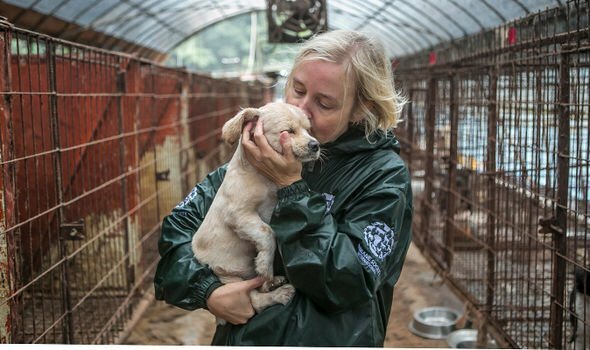 The Two women have shut down 17 dog meat farms. The dog that is pictured at the top was on the programme. What a beautiful and lovely dog it is to. There was also a Retriever on there also saved. How can this be allowed. The people that rescue dog in any way shape and form. They are simply Angels and deserve backing.